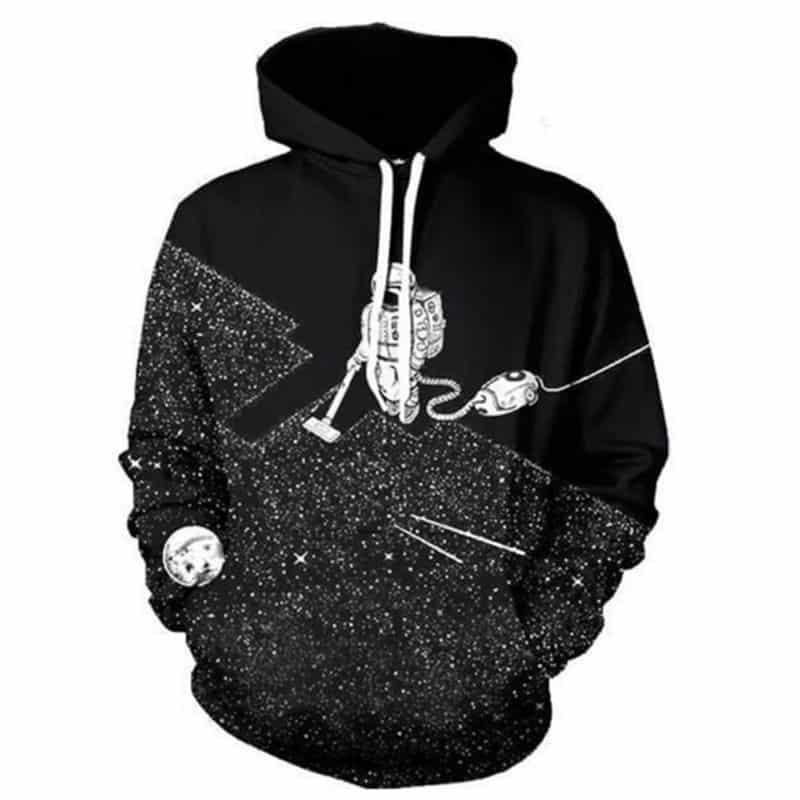 This space vacuum hoodie is a best seller of ours. It features an astronaut hovering up the stars of the galaxy. A truly original print, that makes for an extremely stylish hoodie. The hoodie is comfortable to wear, looks fashionable and is wearable anywhere. It was designed for both male and female. but the material quality тонковат. непонятки withdraws seller left-goods the delivery other gives the shipping tracking number! it is not sweatshirt, because thin. described goods do not on material: without any smooth synthetic fabric thick insulation. тонковка, i would say (hoody, to the name, should be тёплого толстенького of material, style fleece). about size: маловат slightly to be дядьки 106-килограммового пузатого for, more size for weight 95-100 kg. stature normal.